USD Auxiliary Services earned a Loyal E. Horton Dining Gold Medal from the National Association of College and University Food Services for "Catering: Special Event," the 2017 USD Founders Gala. 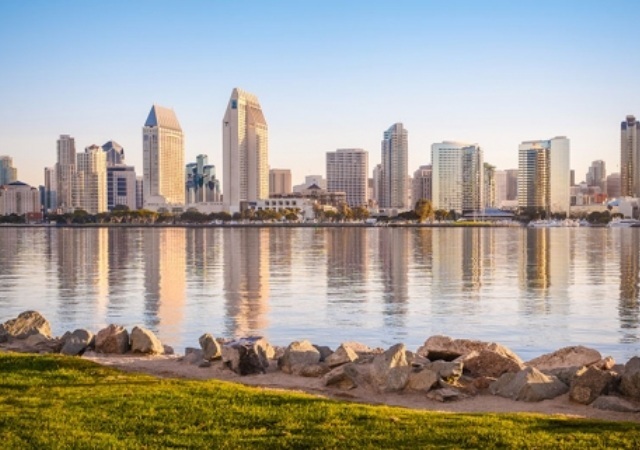 The University of San Diego has received the No. 14 national ranking for Best Campus Food according to the Princeton Review for 2019. And, as the only California university or college among the top 16, USD is No. 1 among all west coast institutions. The 14th spot is an improvement from 18th in last year’s ranking, according to Loryn Johnson, director of Auxiliary Services’ marketing. “To move up to fourteenth is very significant,” she said. It’s USD’s highest-ever ranking in this category by the Princeton Review, which last year named USD as having the nation’s Most Beautiful Campus. Johnson expressed happiness with the ranking because Princeton Review’s decision is measured directly from the university’s student feedback on surveys they’ve filled out. The Princeton Review ranking is the latest rewarding news from Auxiliary Services but it isn’t the only reason to celebrate. In May, the department learned that USD Catering, USD’s exclusive caterer, earned a Loyal E. Horton Dining Award Gold Medal in the category of “Catering — Special Event,” from the National Association of College and University Food Services. The honor was for USD Catering’s work on the Nov. 11, 2017 Founders Gala, an elegant event that is held every other year since 2009 and provides support for student scholarships. 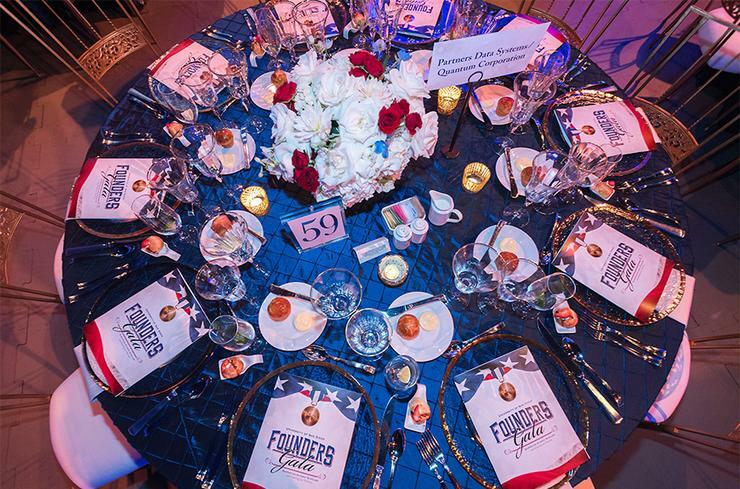 The 2017 Gala, held inside the Jenny Craig Pavilion, took place on Veterans Day, Nov. 11, and had a military theme. The event raised its highest Gala total to date — $1.3 million, including $500,000 that will create a USD Student Veteran Endowed Scholarship Fund. The event featured multiple receptions, a four-course meal — including multiple alternate course based on dietary needs — wine and had many unique and innovative amenities available to the more than 600 registered guests to enjoy and to visually see, including a touching Missing Man table on full display. Many areas within Auxiliary Services contributed to making the event run smoothly and successfully. “It was nice to receive the Gold Medal and to bring back this recognition for our entire university department,” Johnson said. 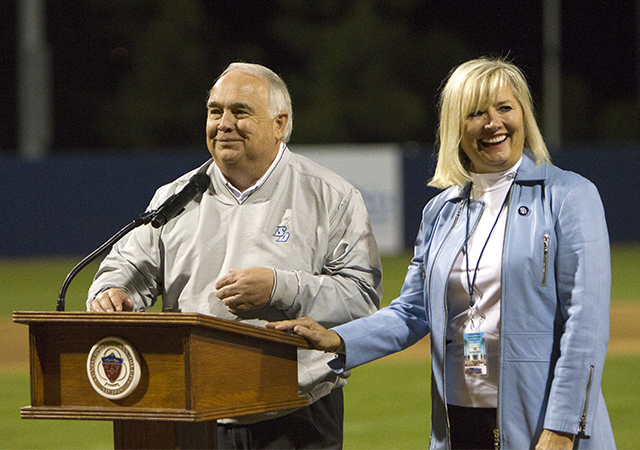 Founders Gala has been an award-winning event for USD the last few years. In 2016, USD won both Horton Dining Awards, Grand Prize and Gold, for the 2015 Founders Gala in the Catering Special Event category and a Silver Medal recipient in 2014 for the 2013 event. In all, USD has won 23 NACUFS Horton Dining Awards since 1991. 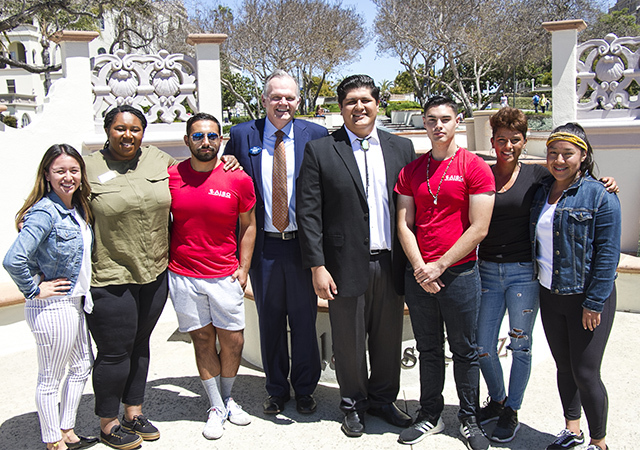 Johnson said that the popular Torero Tu Go food truck will diversify its location a bit on campus this upcoming academic year. The truck will be parked in front of the School of Law’s Warren Hall from 7-10 a.m. Monday through Thursday. It will then move to Copley Library from 10:30 a.m. to 2 p.m., Monday through Friday. The truck will then feed hungry students between 9 p.m. to 1:30 a.m. Thursday through Saturday at The Vistas residence halls. Johnson said the truck is in the midst of getting a new look and the menu is getting some new items. … New students and their parents can learn more and ask questions about meal plans by attending one of two presentations that Johnson and her staff will do during OLE! Weekend orientation … USD President James T. Harris and other top USD executive administrators will be the ones serving dinner to students in Student Life Pavilion's Pavilion Dining on the night of Wednesday, Sept. 5 ... One of the must-attend events each year are the free food festivals that are themed according to a specific ingredient. This year, the Strawberry Festival will again take place in Spring 2019. However, the Fall 2018 festival scheduled for Oct. 25 in front of the Joan B. Kroc Institute for Peace and Justice (Garden of the Sky area) will be the inaugural Avocado Fest. It replaces the Apple Fest. … Johnson said there are job openings in Auxiliary Services, Dining Services and more. No experience necessary. Go to the Auxiliary Services website and click on Employment: Now Hiring to learn more.